The sun was cracking the flag's and I was all kitted up ready to go to the 50th annual Narsa rally over at Norbreck castle exhibition centre. I was waiting for Josh M0DIT to come and pick me up from the car park.I had enough money in my pocket to be able to buy myself another 2 meter multimode radio , seeing as the Yaesu FT-480 decided to curl up it's toes and join all the other pieces of technology in silicon heaven . The rally itself was quite good , lots of things to look at lots of things to buy and even somewhere to eat. I went there thinking that I would be lucky to even find another2m multimode radio at all and after a few goes round the tables I counted half a dozen ,three of them where FT-480's and there were two Trio 9130's and an old Icom. I ended up buying one of those Trio 9130's .On close inspection it needed a cleaning , and when I got it home I went online and downloaded the service manual. I spent about 4 hours servicing it and testing the voltages and re-aligning the crystal's onto the correct frequency . I Connected it to the 6 element yagi and I gave a shout on 144.300, with Josh (M0DIT) sitting on the side giving me an audio report. 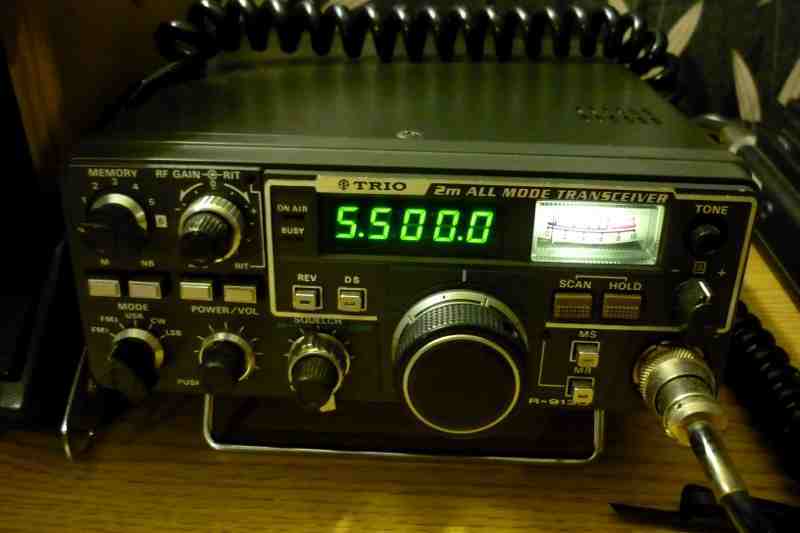 I can't wait until I can get out onto the hills and give good old shout out on two meters SSB, so anyone who is capable of using that mode ,please give a listen out and YES we still use that frequency. Thank you for reading my blog , and Please leave a comment .